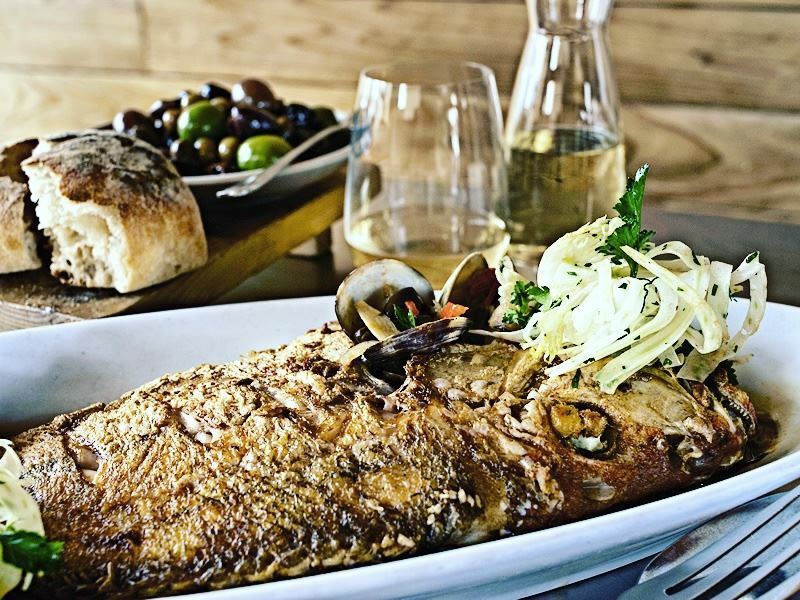 Even though Chicago is best known for its impressive architecture, enriching museums and professional sports teams, the city really is a foodie hub at heart. Stroll through the bustling streets and you’ll see locals eagerly queuing up to bag gourmet doughnuts and fancy coffees at popup doughnut shops or dressed to the nines at sophisticated bars, waiting for their table reservation at nearby Michelin-star restaurants. 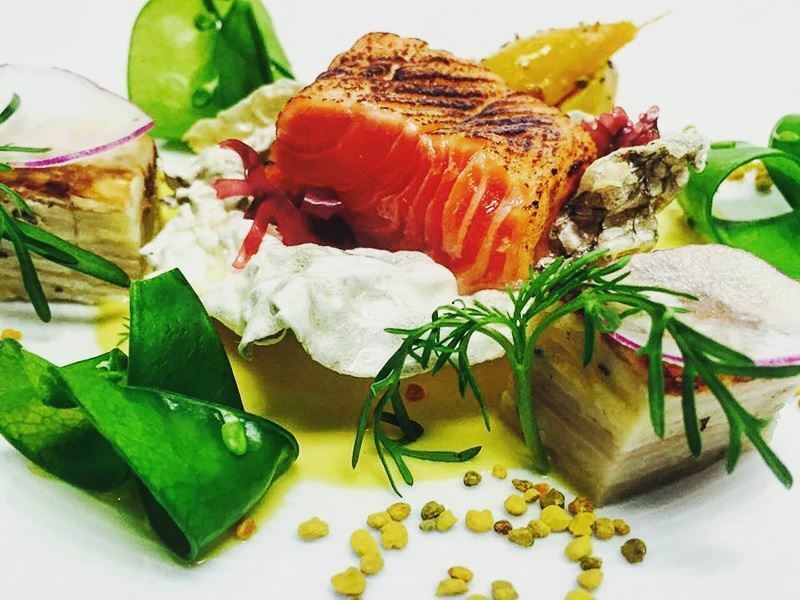 So you don’t miss the chance to delight in delectable eats during your next trip to the Windy City, we’ve put together a list of the top 10 restaurants in Chicago you simply can’t miss. Where: You’ll find Girl & the Goat at 809 W Randolph Street. The scene: Providing the ideal blend of familiar favourites everyone loves and adventurous dishes only the most intrepid foodies will dare try, Girl & the Goat is an all-round pleaser. Set inside an industrial loft-converted space which cost $1.65 million to transform, this incredibly popular restaurant is decked out with burnt cedar wood, exposed beams, a brilliant iron fireplace and a French oak bar surrounded by handcrafted stools, giving the restaurant a chic rustic feel. The cuisine here is best described as American, with classic dishes such as seared diver scallops and grilled chicken sitting side-by-side on the menu next to inventive out-there choices including duck tongues, lamb tartare and a handful of goat specialities. Dressed in casual black t-shirts with huge welcoming grins, the staff are buzzing with genuine energy from the minute they bring you your appetizer to the time they’re clearing away your empty dessert plate. Signature dish: Wood oven-roasted pig face, flavoured with tamarind, coriander and a red wine-maple sauce, served with a sunny-side egg and potato sticks. Where: Smoque BBQ is located at 3800 North Pulaski Road. The scene: Nothing compares to the sweet, smoky flavours and the juicy, melt-in-the-mouth textures of every dish that comes out of the kitchen at Smoque BBQ. This friendly barbecue restaurant is one of the few in north Chicago, but despite the lack of competition, the five owners still go to extra lengths to ensure each cut of meat is matched with the right rub, wood smoke, sauce and cooking technique for true perfection in every mouthful. 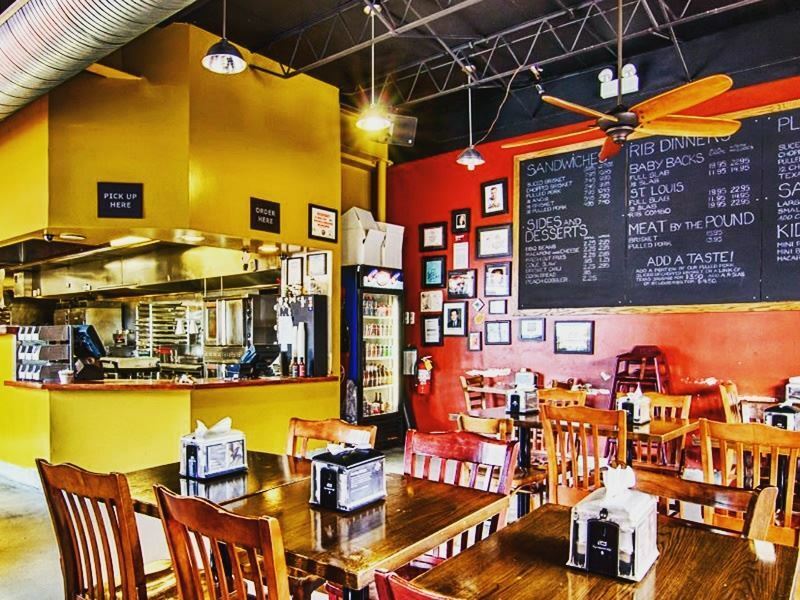 The Texas-inspired décor, with bright red and yellow walls, solid wooden furniture and a wall-size blackboard which acts as a menu, isn’t up to fine-dining standards, but fits in perfectly with the casual cuisine and the friendly, approachable staff who encourage diners to relax, eat ribs with their fingers if they want to and enjoy! Thanks to the BYOB (Bring Your Own Booze) policy, an all-out meal at Smoque BBQ can be surprisingly affordable, especially considering it’s one of the best restaurants in Chicago! Signature dish: The sliced or chopped brisket platter, cooked for 14 hours in the smoker, complemented by a duo-layer spice rub and lightly coated with Smoque BBQ’s special brisket BBQ sauce. Where: Joe’s Seafood can be found at 60 East Grand Avenue. 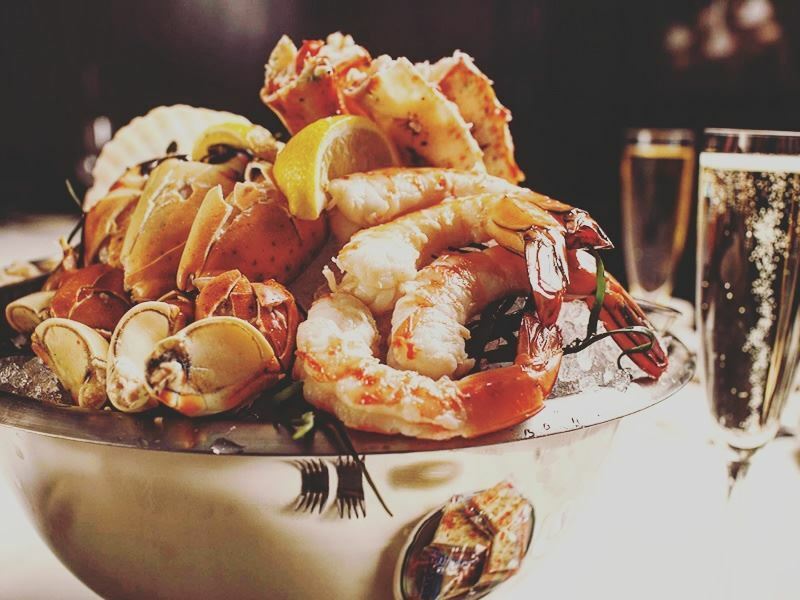 The scene: The inside of Joe’s Seafood, Prime Steak and Stone Crab is the epitome of fine dining. This classic restaurant has an air of a dinner club about it, with a high vaulted ceiling with contemporary chandeliers, smooth and moody dark wooden furniture, pressed white tablecloths and dim lighting making it equally perfect for a corporate business lunch or a romantic date night. Even though you’ll find sublime steaks and tempting chicken dishes on the menu, Joe’s really is a seafood restaurant with a stellar choice of crab, shrimp, scallops, lobster and all kinds of delicately-prepared fish to choose from. The waiting staff add to the opulent feel, dressed smarter than most diners in tuxedoes and with a serving grace which comes across more sophisticated than stuffy. Signature dish: Stone crab, hand-harvested from the warm waters of the Gulf of Mexico. Where: Bandera is situated at 535 North Michigan Avenue. The scene: Boasting a prestigious second-floor location overlooking the bustling Michigan Avenue, Bandera in Chicago may just be one in a chain of several restaurants, but that doesn’t make it any less deserving of being on this top ten list. This high profile restaurant offers a more clean and sophisticated dining venue than you’d expect from most chains, with comfy leather booth seating, mature wood panelled walls and a huge window which stretches the length of the restaurant. The menu is made up of mostly American specialities, with a few Southwestern and Mexican twists thrown in for fun, like the white cheddar and butternut enchilada on the lunchtime menu. Bandera’s wine list is surprisingly extensive for an all-American restaurant, with whites, reds and bubbles from every corner of the globe. The swanky three-piece jazz band which plays nightly provides mellow background music that complements the casual style of the food and the relaxed atmosphere. Signature dish: Iron skillet cornbread: a moist and slightly sweet cornbread which arrives at your table still hot from the oven. Where: Alinea is located at 1723 North Halsted Street. The scene: Alinea is a provocative and progressive dining venue which pushes the boundaries when it comes to all things food. There are no a la carte menus available, instead guests can choose between the Salon, the Gallery or the Kitchen Table tasting menus, each of which is more expensive, exclusive and comprehensive than the last. Each tasting menu is served in a separate dining room decorated in an individual style, with hand-selected modern art, neutral colour palates so as to not distract from the food and electricity in the air which hints that something amazing is about to happen before you’ve even sat down. The tasting menus highlight mostly American cuisine with fun and inventive twists you definitely won’t see anywhere else, such as green apple helium balloons which float through the dining room. 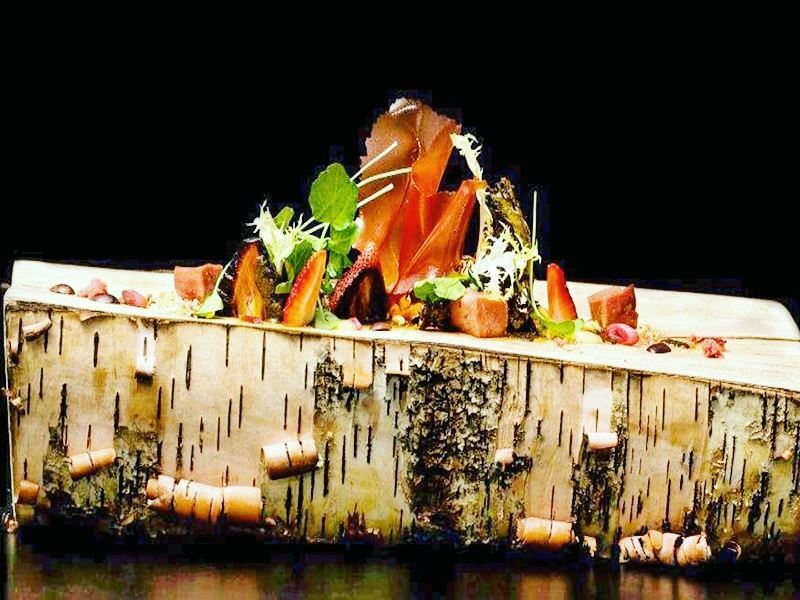 Much more than a place to enjoy top quality food, Alinea is a place to indulge all your senses at once in a way like never before. Signature dish: The Kitchen Table menu, a totally private multi-course tasting menu for an intimate and immersive dining experience. 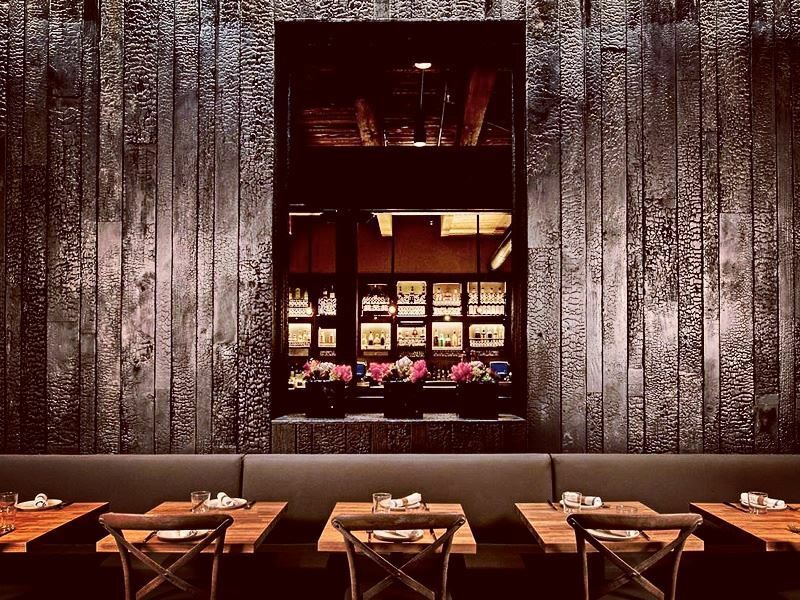 Where: You’ll find Avec restaurant at 615 West Randolph Street. The scene: Inspired by the sun-drenched wine regions of Southwestern Europe, Avec is a dynamic Mediterranean restaurant which pairs creative sharing plates with a carefully-selected fresh wine list full of reds, whites, roses and sparkling choices from all across Europe. 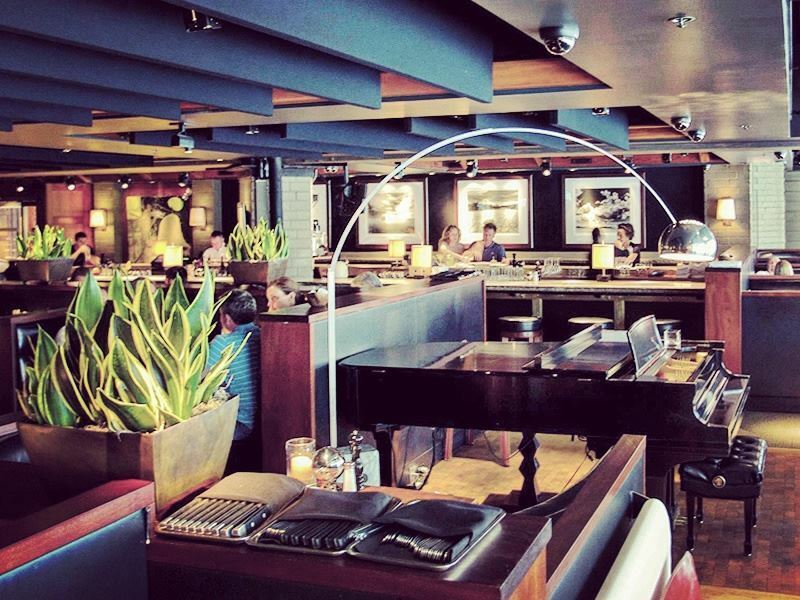 The no-reservation dinner policy (although you can make reservations for lunch) means that waits can be crushingly long, but the sleek metal bar which lines the dining is a great place to enjoy a cocktail or glass of wine until a dining spot becomes free. The dining room itself is long and narrow, with long tables for groups to gather and golden wooden panels covering every inch of floor, wall and ceiling, intended to create the sensation of dining within a wine barrel. The minimalist, casual décor and cosy communal seating is complementary to the style of the food which was made to be placed in the middle of the table for friends and family to share and chat over. Signature dish: Chorizo-stuffed Medjool dates wrapped in bacon and smothered with a piquillo pepper-tomato sauce. Where: Mexique is located at 1529 West Chicago Avenue. The scene: French-trained and Mexico-born owner and chef, Carlos Gaytan, combined his two cultural heritages into one when he opened Mexique, quite likely the one and only French-Mexican fusion restaurant in Chicago. The décor perfectly reflects the coming together of the two cultures, with Mexican-inspired white-washed walls and exposed brickwork rubbing shoulders with a French-style polished wooden bar and tall leather stools. The understated setting and low-key atmosphere create the perfect setting for savouring the menu which showcases the delicate cooking techniques of France alongside the explosive flavours of Mexico. Almost every item on the menu packages up both cultures in a complementary way in which the flavours harmonise together and never compete for palate ownership, from the mussels cooked in an elegant beurre blanc with smoky chorizo to the rich duck confit glazed with a spicy chipotle-tamarind sauce. Signature dish: Duo de Cordero: a herb-encrusted rack of lamb served with Toluca-style lamb chorizo, dates, almonds, potatoes, carrots, aubergine, pickled jalapeños, ancho chilli and a lamb reduction. 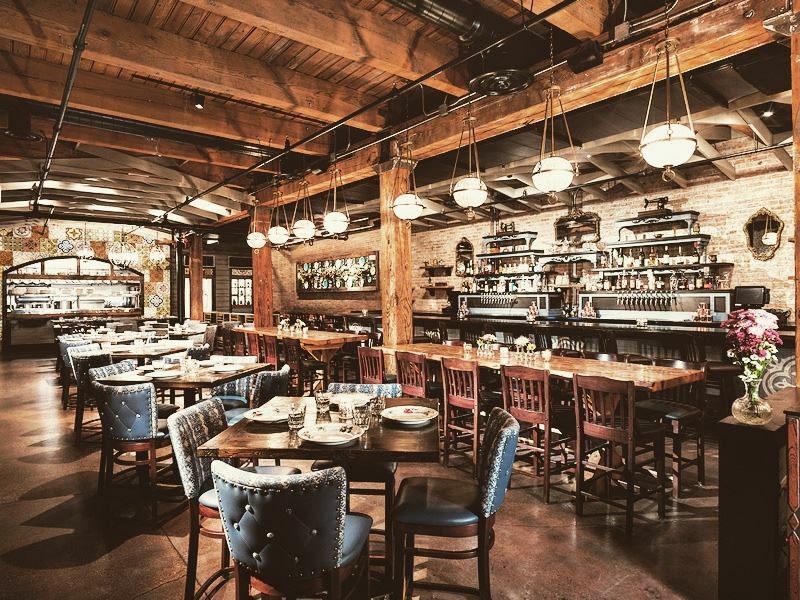 Where: Au Cheval is situated at 800 West Randolph Street. The scene: You don’t usually associate diner-style food with top end restaurants but then again, Au Cheval doesn’t serve the type of food you’d see on just any old diner menu. Sure, there are burgers and sandwiches galore, but these are gourmet variations of the standard, made with the finest ingredients and served with style. The burgers are stacked together with smoky bacon and melted cheese inside a buttery brioche bun and are so tall only a steak knife can hold them together. As well as burgers and sandwiches, the menu is also loaded with other gourmet takes on comfort food, including crispy potato hash with duck heart gravy and scrambled eggs on toast with foie gras. Combine these top quality crowd-pleasing eats with a trendy venue full of plush leather booth seating, contemporary brickwork and a laid-back staff who get the job done and you’ve got a highly in-demand restaurant that you won’t mind queuing up shoulder-to-shoulder with the local hipster crowd to get into. Signature dish: Fried house-made bologna sandwich, stacked high and held together with two types of melted cheese. Where: You can find Bohemian House at 11 West Illinois Street. The scene: With mismatched floral china, comfy sofa seating and a bar which after a second glance you’ll notice is actually several blue and black wooden tables stacked on top of one another, you could easily think you’ve accidentally walked into someone’s quirky living room instead of one of the best restaurants in Chicago, but that’s Bohemian House’s charm. 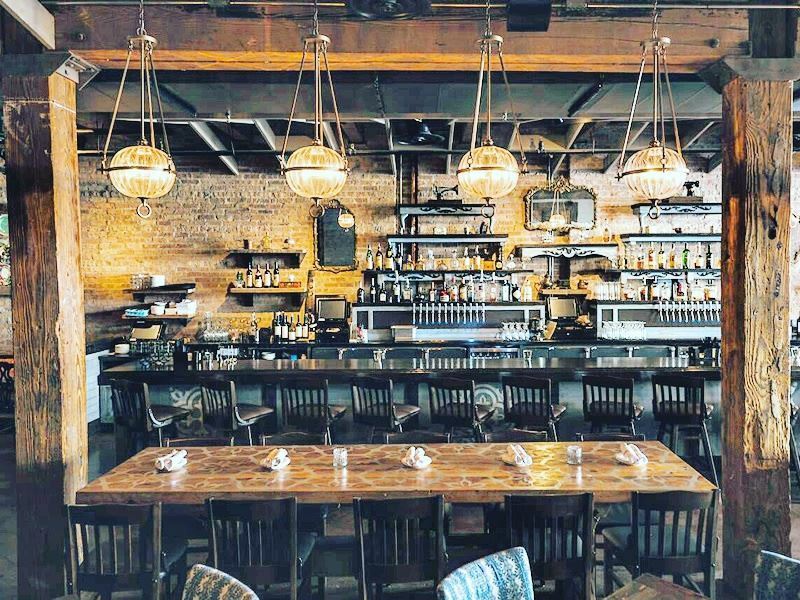 The dining room evokes a lodge-like feel with the care-free and light-hearted essence of Bohemian culture, something not easy to come across in the Windy City. This homely, friendly restaurant serves hearty Central European cuisine with a sophisticated twist. The menu is changed often to showcase fresh and seasonal locally-sourced products, but the options are reliably influenced by the Czech Republic, Germany and Austria. Carrying on with the Bohemian theme, many of the menu choices can be ordered as a large or small sharing plate to be enjoyed by friends and family as part of a comfortable and sociable dining experience. Signature dish: Chicken paprikash, served with pickled sweet peppers and potato dumplings. 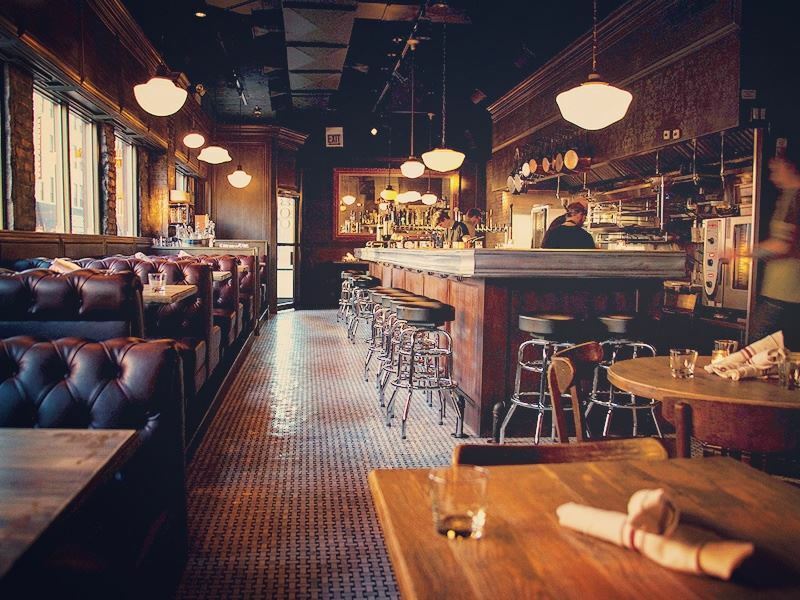 Where: Bavette’s Bar & Boeuf is situated at 218 West Kinzie Street. 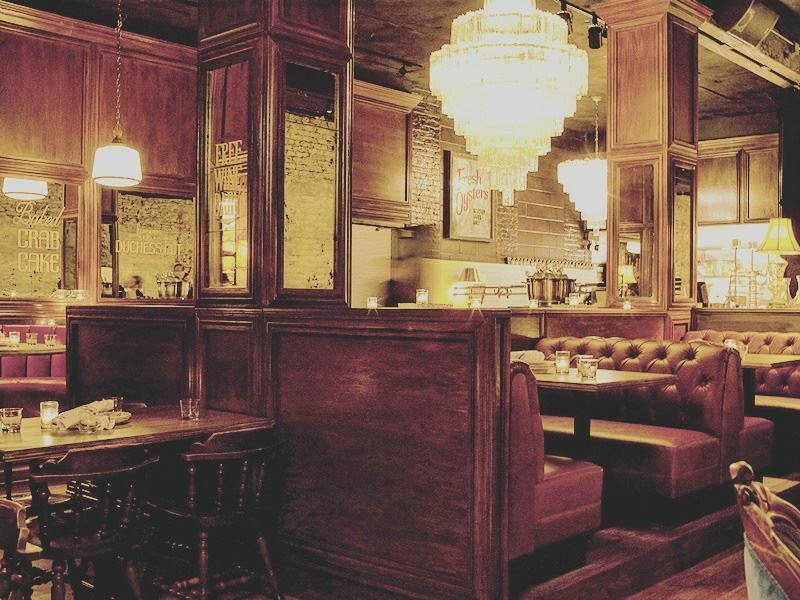 The scene: Part elegant speakeasy and part chic steakhouse, Bavette’s Bar & Boeuf serves classic French cuisine with a strong focus on thick, juicy steaks seasoned to perfection and cooked exactly how you like them. For anyone not a big fan of steak, there are plenty of alternatives, ranging from smoky trout salads and short rib stroganoff to spiced fried chicken and broiled salmon. The dark, moody atmosphere is created with bar-like red leather booth seating, shiny black round tables, extra-large mirrors decorated with retro 50s-inspired writing and spotlight-like lighting which reveals the stunning dishes brought by knowledgeable staff. To complement the largely carnivorous menu, there is an outstanding drinks list with an extensive choice of bourbons, whiskeys and scotches which add to the speakeasy feel. Signature dish: Any of the USDA prime steaks, but the 22oz 42-day dry aged bone-in ribeye is worth the extra money.